HTC has announced another smartphone to its portfolio called the HTC Rezound. We have seen this device before in leaks and it was codenamed as Vigor. It is the first mobile with Beat audio to reach the US. Bundled with the Rezound will be the Beat Audio exclusive headset which will give users an excellent music listening experience. Though it is launching with Android Gingerbread, HTC has said that it is all ready for the Ice Cream Sandwich update. 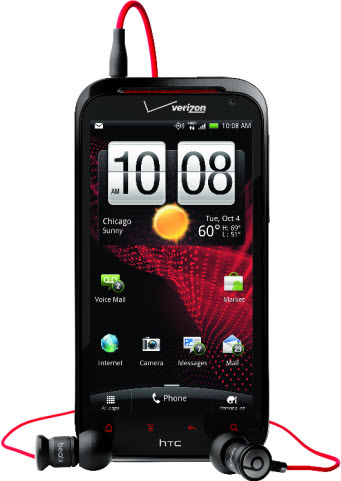 Rezound will be available from November 14 on Verizon for $299. Hopefully we’ll see non-LTE version of the handset hitting the global market.